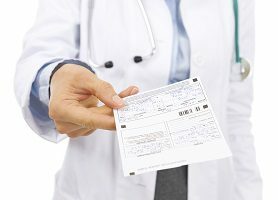 A new study finds the percentage of benzodiazepine prescriptions written for outpatient medical visits doubled between 2003 and 2015. The benzodiazepine visit rate doubled from 3.8 percent to 7.4 percent of visits. Half of those prescriptions were written by primary care doctors, NPR reports. Benzodiazepines include Xanax, Valium and Ativan. Although they are most often prescribed for anxiety, insomnia and seizures, the researchers found the largest increase in prescriptions was for back pain and other kinds of chronic pain. Benzodiazepines are recommended for short-term use, but the study found an increase in long-term use. Whether you are a parent, grandparent, aunt, uncle, sibling or other caregiver — our Helpline is here for you and anyone else playing a supportive role in the life of a young person struggling with drug or alcohol use. We have trained and caring master’s-level specialists ready to listen, help you find answers and make an action plan to help your loved one. A new study finds that while reducing opioid prescriptions can save lives, it also can lead to increased heroin use and deaths, The New York Times reports. The U.S. Food and Drug Administration announced this week it will take new steps to address the nation’s opioid epidemic, according to The Wall Street Journal.